The highest home sale was $217,900 for a four bedroom, 3 bath home with 2433 square feet. The lowest priced home sold was a two bedroom, 1 bath home with 1228 square feet. The average days on market was 59 days. 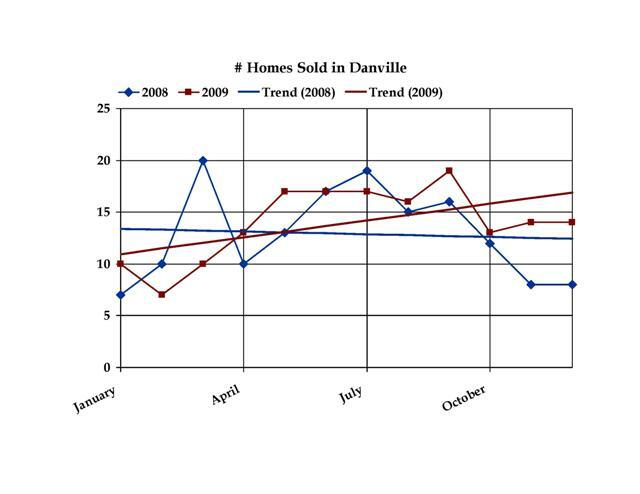 Danville homes sold, subdivision, home levels, garage, basement, square feet and price. The most popular subdivision sales in Danville were in Stratford Ridge and Clear Creek, which represents two distinct home buyers, the first time home buyer and the move up home buyer. 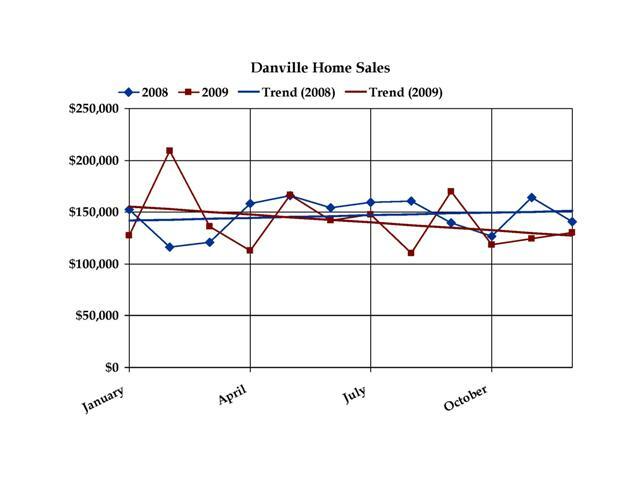 Average home price for Danville Indiana Home Sales in 2009 compared to 2008 shows a trend of lower home prices, but at the end of the year average home prices were not far off where they were a year ago. 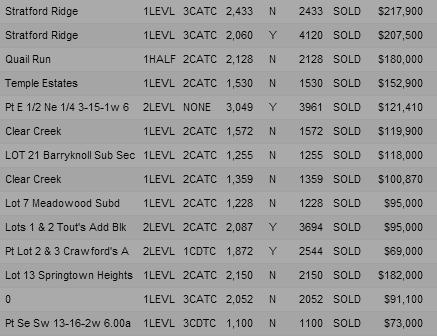 The number of homes sold has trended up. This could represent an influence from first time homebuyers, since the average home price in Danville is lower than the neighboring cities of Avon, Brownsburg and Plainfield. Indianapolis Real Estate Blog, written by Paula Henry, an Indianapolis Realtor and team leader of The Home to Indy Team at Keller Williams Realty, serving the Indianapolis and Danville Indiana real estate markets.